I hope that everyone had a fantastic Easter weekend! John was off all last week, so we had 9 beautiful days of family time! It was just perfect! For the past three years, I have hosted an Easter brunch for my family and my in-laws! 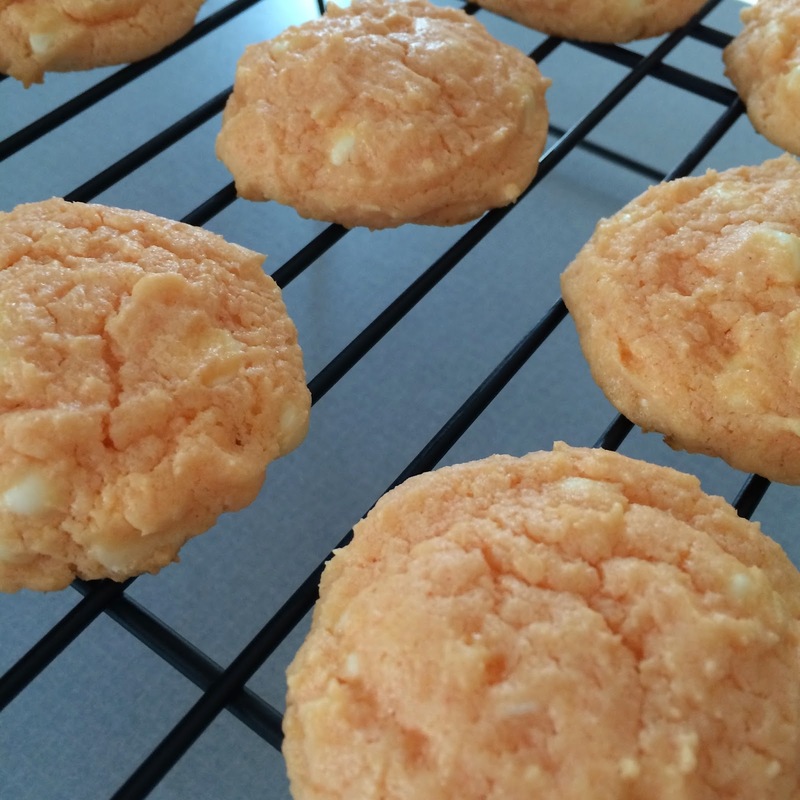 This year, I made these Orange Creamsicle Cookies, and they were fantastic! 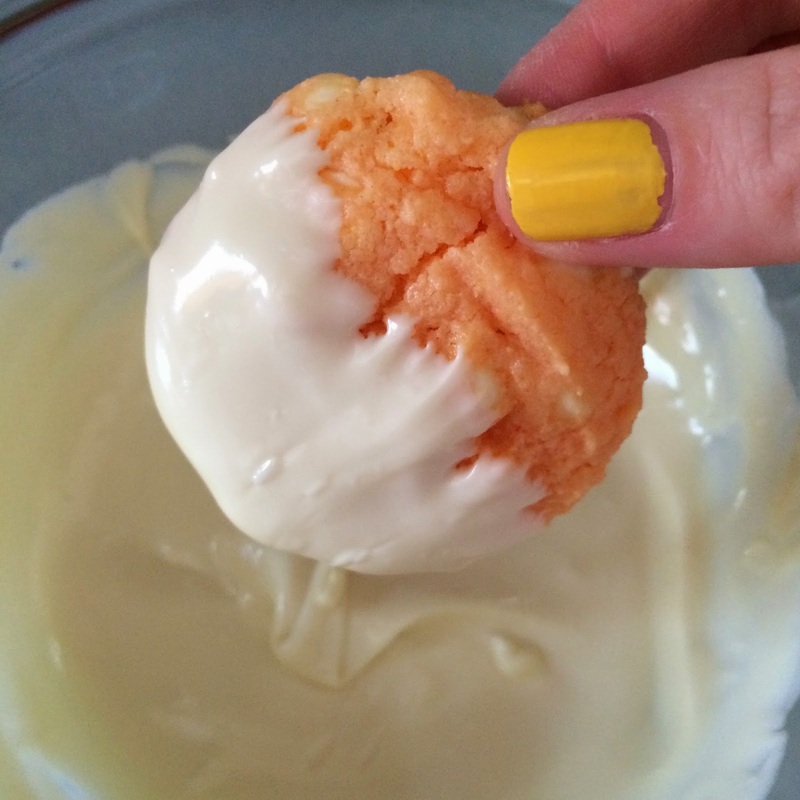 If you like eating traditional Orange Creamsicle IcePops during the warmer months, then these cookies are perfect for you! And they could not be easier! 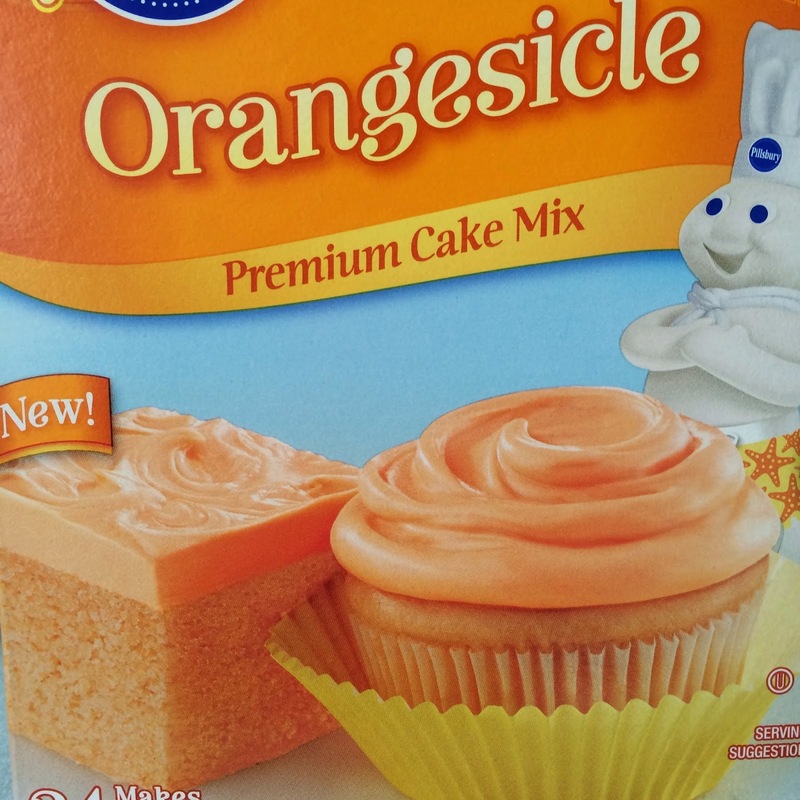 In fact, they are CAKE MIX RECIPE #34!!! 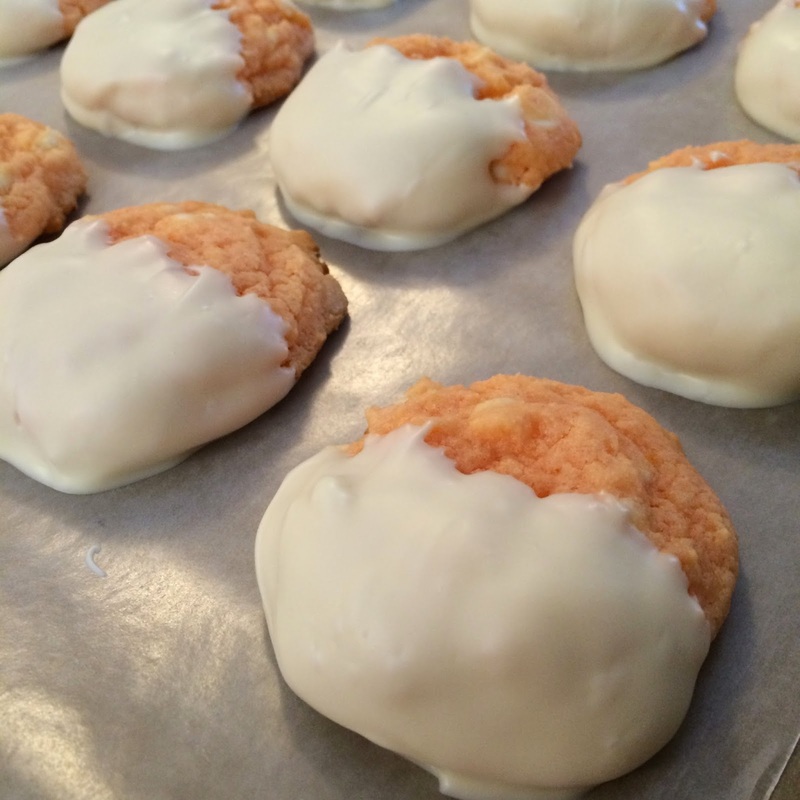 And if you wanted to go a little crazy and cover the whole cookie in white chocolate, that would also taste great! 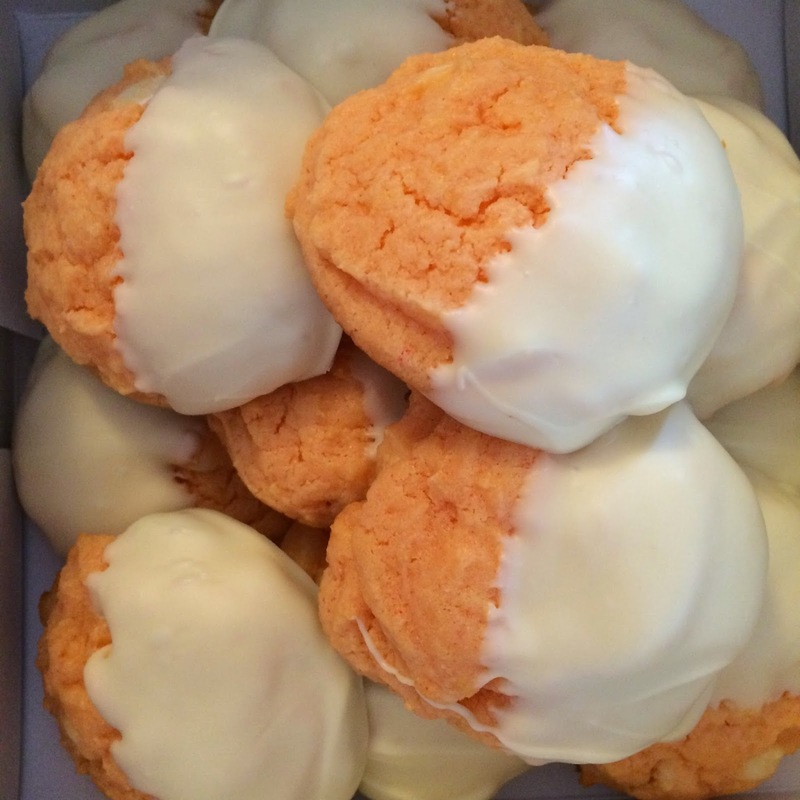 But I liked the look of the half orange and half white cookie best!